Dr. Korenman of Loveable Smiles has invested in CEREC Technology which uses ceramic materials to restore your teeth to their natural strength, beauty, and function. Your crown is designed and milled right here in our office. The technology saves a lot of time for our patients. One Visit! 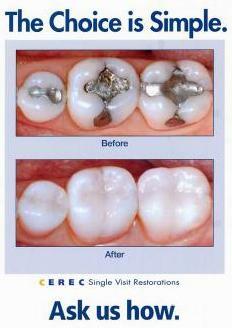 – The best thing about CEREC, is that your teeth can be restored in one visit to the dentist. Your crown is designed and milled right here in our office! 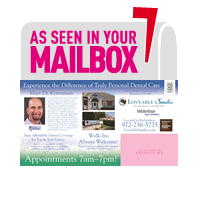 A few years ago, you had to visit the dentist 3 or 4 or even more times in order to perform teeth restoration. The technology saves a lot of time for our patients. 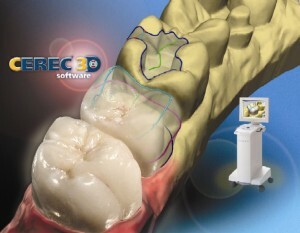 A Healthier Option – A CEREC tooth restoration isn’t just convenient, it is also healthy. Many years ago, dentists had few options to repair decayed and damaged teeth other than amalgam, gold, and other metals. With CEREC, Dr. Korenman uses strong, tooth colored ceramic materials to restore your teeth to their natural strength, beauty, and function. These materials closely match the composition of natural tooth structure. The ceramic material is stronger and is bonded into place. You are able to keep more of your original tooth.